Adolescence should be a time of mental, physical, social, and emotional growth. It is during this time that higher levels of thinking, sometimes called executive function, develops. These executive functions are an important foundation for success in the complex modern world. But, adolescence can be a difficult time, fraught with challenges. During this time the child transitions to young adulthood; including the development of intellectual, psychological, physical, and social abilities and characteristics. There are so many changes occurring during this time that the child can feel overwhelmed and unable to cope with all that is required. These difficulties can be markedly amplified by negative life events during childhood. At-risk youth confront unique pressures that have been linked to poor psychosocial outcomes, impaired academic performance, and maladaptive behaviors such as substance use and delinquency. These risk factors may include language barriers, low SES, parents’ own involvement in high risk or illegal behavior, restrictive or neglectful parenting, and home environments that expose children to alcohol and substance abuse. Mindfulness training has been found to be helpful for adolescents and also to improve performance in school. So, it is possible that mindfulness training would be helpful for at-risk adolescents. In today’s Research News article “A School-Based Mindfulness Pilot Study for Ethnically Diverse At-Risk Adolescents.” See summary below or view the full text of the study at: https://www.ncbi.nlm.nih.gov/pmc/articles/PMC4809539/pdf/nihms652885.pdf, Bluth and colleagues recruited adolescents who were attending an alternative high school for troublesome and at-risk students. They were randomly assigned to receive either and 11-week class of mindfulness training or substance abuse training. The mindfulness training included body scan, sitting meditation, lovingkindness practice, walking meditation and mindful movement. The substance abuse training consisted of lectures designed to help adolescents address drug use and co-occurring life problems. The students were measured before and after the trainings for class attendance, retention, program acceptability, mindfulness, self-compassion, social connectedness, anxiety, depression, and perceived stress. At the beginning of the mindfulness training there was considerable resistance and acting out. But, by the end of training the students responded that the class was helpful and wanted it to continue. They also found that the mindfulness training produced significant improvements in the students’ depression and anxiety levels. Mindfulness training has in the past been repeatedly shown to help relieve depression and anxiety. But, it is an important finding that it can do so in these difficult to treat at-risk adolescents. So, the study showed that mindfulness training was feasible and acceptable to these at-risk adolescents and produced improvements in their negative emotions. The results are encouraging. These troubled youths are extremely difficult to work with and treat and that was reflected in the negative behaviors at the beginning of the class. But, by the end of the class the students found the mindfulness training useful and there were fairly large improvements in anxiety and depression. There were trends for other improvements and a larger future trial may be able to demonstrate other benefits of the mindfulness training. Although it was clear that mindfulness training is not a panacea for troubled youths, it can be helpful and provide space for them to destress and explore their inner lives. 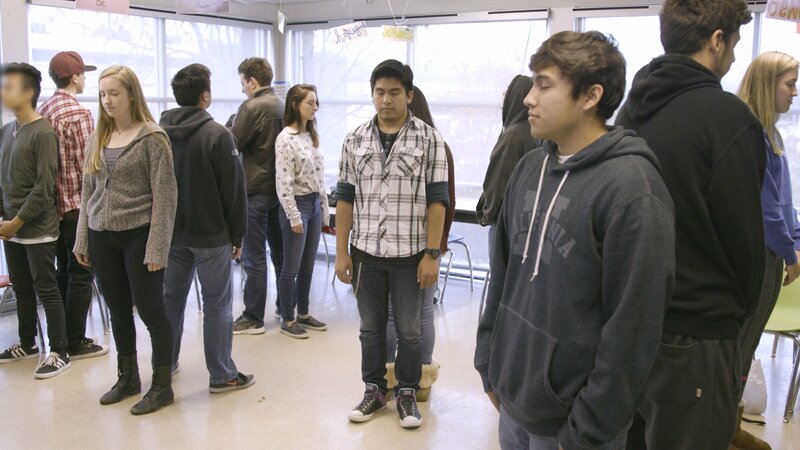 So, improve emotions of ethnically diverse at-risk students with mindfulness. Adolescence is a transitional period marked by rapid physical, behavioral, emotional, and cognitive developmental changes. In addition to these normative development changes, adolescents also face a multitude of contextual stressors such as academic pressures at school, changing relationships with peers, and all too often, unstable family life characterized by divorce, frequent moves, income and occupational changes, and disruptions in family routines. Up to a quarter of adolescents suffer from depression or anxiety disorders, and an even larger proportion struggle with subclinical symptoms. Anxiety and depression during this stage can lead to impaired academic, social, and family functioning, and have long-term adverse outcomes. Given the need to better understand both the implementation and potential benefit of mindfulness programs for at-risk youth, we conducted a randomized pilot study to investigate the feasibility and acceptability of such an intervention with ethnically diverse, primarily Hispanic youth enrolled in an alternative high school. We specifically examine intervention effects on psychosocial wellbeing and school performance relative to the control group, a class which focused on substance abuse prevention. this study contributes to the literature by confirming the feasibility and acceptability of a mindfulness intervention with this population, and expands our knowledge on what works.